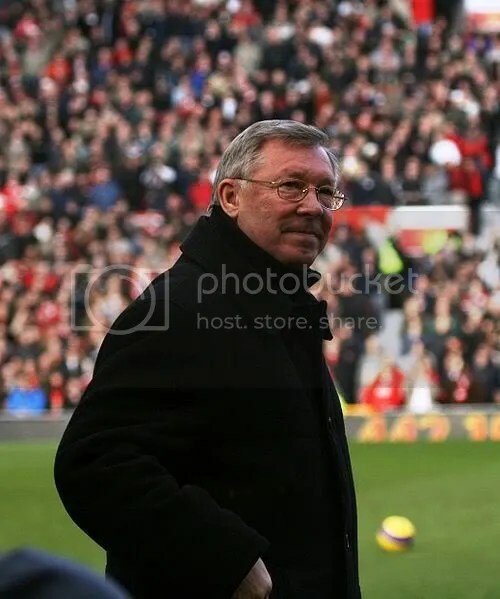 Alex Ferguson is the most successful manager in English league football, and one of the most successful in world football. Ferguson recently published the latest volume of his memoirs “My Autobiography”, principally covering the period from 1999 to his retirement this year. In the book, Ferguson also shares some of his insights into being a (football) manager. Several of them can be applied to any form of management, whereas others are possibly specific to football. What can we take from these quotes and what insights do they give us into Ferguson’s values and beliefs? Here are some of Ferguson’s quotes (italics) on Leadership & Management followed by my thoughts on what he may mean, or what we can take from them. It is easy to be a manager when things are going well, but every manager will have occasions when things do not go according to plan. This is when those around you will look to you to fix things. This is when your reputation will start to be written. Make sure that you stay true to your values, but be flexible in your beliefs as they may be holding you back. Most manager will be leading teams and within these teams will be individuals of varying experience and confidence. One of the biggest challenges with younger team members (and our children) is to get them to accept responsibility for their actions, not look to blame others or the environment. It is great to receive praise, but the best feedback is given at the behavioural level (what you did that worked and what didn’t work) rather than at the identity level (“you are a genius” feels great, but what about “you are a fool”?) Stick to feeding back behaviours. Actually, the art of management is the art of managing and leading people, even if they operate machines! Managers have to be respected. It is a bonus if you are liked! you need to be consistent, fair and level headed to be a good manager. Remember this, and you will earn respect and maintain your authority. “I always felt that my best moments as a manager were when I made quick decisions based on irrefutable fact, on conviction”. Again, stay true to your values, but make sure that the evidence supports your convictions. Is there “irrefutable” evidence that what you are doing is working or correct? Or, praise in public and criticise in private. A great example of a winning mentality and a never say die attitude. This probably accounts for why Man. United won so many matches with late goals. These are just a few of Ferguson’s quotes on Leadership & Management. They give us some insight into his values and beliefs, and explain some of the behaviours we associate with him as a football manager.